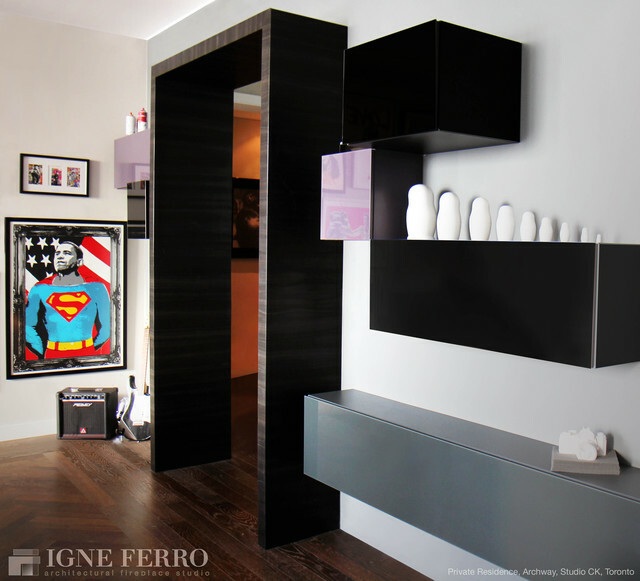 We recently had our LR featured in House and Home and this was the work of Igne Ferro. 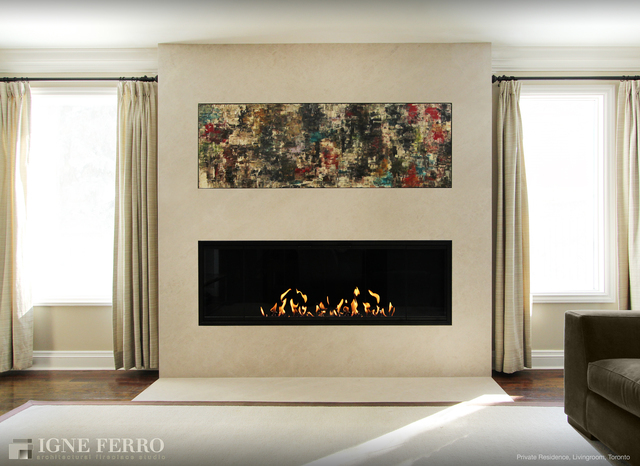 We found Igne after searching for a high quality gas fireplace insert and then realized the breadth of work they could do. They were in high demand and all the work had long lead times, but they regularly delivered the highest quality stone work, millwork, plastering and painting (also the most expensive but worth it) when they said they would. We even had Igne fix the poor quality framing of a prior contractor. We purchased a fireplace insert nearly two months ago. We were told it would take a week for the product to arrive. We have been following up by phone and email and have not gotten a response. When someone does answer our emails or phone calls, we're told that it will be delivered by the end of the week, yet the end of the week comes and still no fireplace. Then we call again to try and get an answer and no one returns our calls. This has been going on for seven weeks and we still have no resolution. I had a great experience. 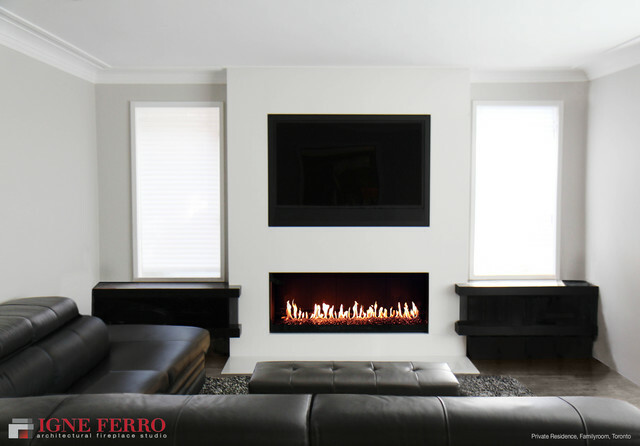 Igne Ferro was professional, friendly and responsive. I’m very happy with the beautiful, high end result. They are absolutely experts. I feel I paid a fair price for the required work. Igne Ferro supplied and installed an insert for my fireplace at a family cottage outside Coboconk Ontario. They also repaired the chimney and did a great job of the project. All the staff I dealt with were friendly and knowledgable. The fireplace looks great with the mortar refreshed. The Stuv insert works well and throws good heat. Thanks team. I look forward to working with you on another fireplace soon. Thank you for taking the time to give us a review! 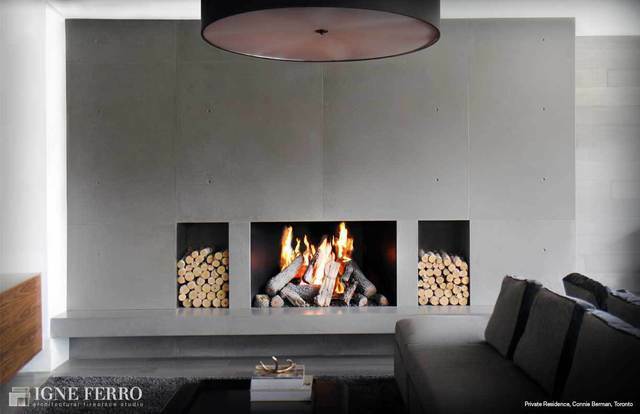 We enjoyed being given the opportunity to design and execute the fireplaces for your home. Please let us know if there's anything we can do for you or your fireplaces in the future. The team was great to work with. From design to completion they were great. We were looking for 2 modern fireplaces, one in our open concept main floor and one in our bedroom. They provided us with the drawings and then in a few months it was all done. It is the main focal point of our two rooms, we love it and so do our guests and family. Thank you very much, I would recommend them without a doubt. Thank you so very much for your thoughtful review! We are pleased that you are so happy with the results and it was an absolute pleasure to serve you. Please let us know if there's anything we can do for you or your fireplaces in the future. 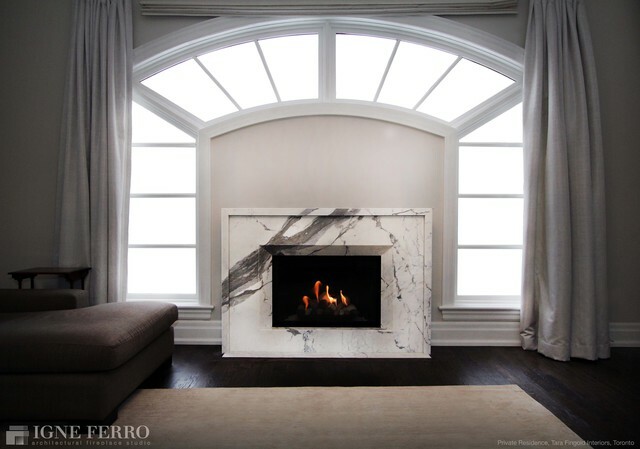 We are a custom architectural fireplace studio located in Toronto. We execute both traditional and modern designs using custom solutions for your design requirements. 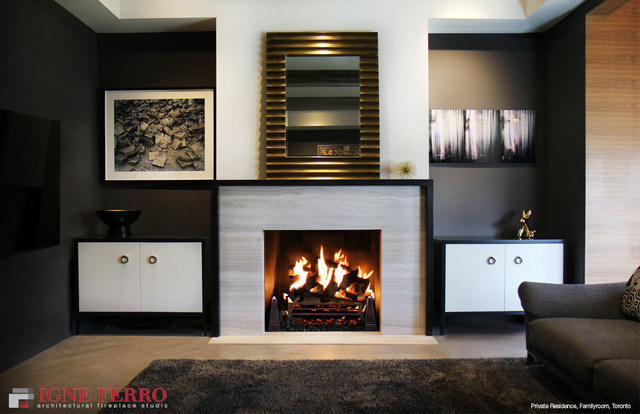 We have fireplace accessories, glass doors and screens available. From the conception and planning of your design, to the engineering and fabrication of your products, to the project management and installation, we plan and execute your project down to the last detail. We also provide fireplace maintenance, troubleshooting, repairs and warranty servicing. 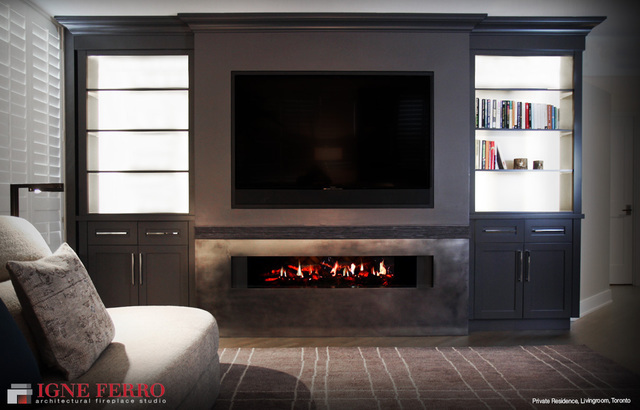 We custom fabricate hearths, mantels, slips and chimney breasts using marble and/or highly specialized custom metal finishes. We produce custom hand-made wooden mantels, cabinetry and shelving. Our full service design team offers: consultation, design, conception, drawings and project management. Our gas technicians install gas lines, direct vent units, gas inserts, chimney fan systems and provide gas hook-ups. We currently serve Toronto and the GTA, but are happy to go beyond those borders also. Our gas technicians are G2 Certified.